From “one of the top five psychics in the country” (Miami Herald) comes an accessible and insightful guide to help you access your intuition, communicate with angels and spirit guides, and tap into your soul’s greatest purpose and passion. Award-winning psychic Hans King provides a clear and thorough path for connecting to the invisible side of life. Based on his sixty years of work as a medium, Guided features step-by-step practices for quieting the mind and creating a clear channel for spiritual communication. Through these techniques you can discover, activate, trust, and follow your own eternal voice while uncovering your soul’s greatest purpose and passion. Filled with fascinating stories and stunning testimonials from those who have communicated with the spirit world and experienced spiritual awakenings through King’s teaching, Guided clearly explains how to accurately find the answers you are searching for and actualize them in your life. “Written in a clear and easy to follow manner” (New Spirit Journal), Guided is the ultimate spiritual user’s manual for all those who experience an inner urge to explore life’s bewildering paradoxical mysteries and deepest sensitivities, and “a blessing for those who read it” (Lisa Garr, host of The Aware Show and Being Aware, bestselling author of Becoming Aware). I HAVE FOUND real proof of life after death. What I share in this book is based on the reality of my personal life’s experience, and my fifty plus years of work as a medium and teacher for thousands of clients. I was born clairsentient, clairvoyant, and clairaudient. Of course, when these abilities came into expression at the age of three I had no definitions for them, nor was I aware that those in my immediate surroundings did not experience these same innate aspects of their being. But not for long, thanks to my master guide, Sebastian, who first introduced himself to me at that time. During my formative years, my spirit guides would talk with me and take me on what I related to as Alice’s Adventures in Wonderland–type excursions where I would be in a room which all of a sudden grew very, very large while I became very tiny among individuals who were never under seven feet tall. (I never questioned why there was this discrepancy in height as I was totally immersed and delighted in the experience itself.) This out-of-body travel in my astral form, captained by Sebastian, went on for several years. Eventually, I grew to understand that one of the foremost teachings my guides were transmitting to me was the importance of seeing through illusory appearances, to see with the eye of the soul the subtlety behind the façade of the obvious. To illustrate, the following story describes one of the early childhood voyages my guides and I embarked upon together. While quietly playing in my parents’ home, a group of my guides—around three of them, led by Sebastian—entered my bedroom and, in my astral body, ushered me into the backyard. We stopped before a tree where a caterpillar was peacefully chomping on a leaf. At the time, I assumed we were simply enjoying and observing one of the beauties of nature at work. “Are you sure that’s what you see?” he again asked, with heavy emphasis on the word “sure,” at which point I wordlessly answered by raising my eyebrows and widening my eyes. When I returned to my room, I phonetically sounded out the word “transparent” and looked it up in the dictionary. I share it with you here as defined in Webster’s Universal College Dictionary: “Having the property of transmitting rays of light through its substance so that bodies situated beyond or behind can be distinctly seen.” Although some of this vocabulary exceeded my understanding, I intuitively grasped that through the caterpillar-butterfly transformation, my guides were giving me an object lesson: It is with the inner light of the soul’s eye that we see through the density of outer appearances to the truth of their essential essence. This universal principle remained with me, and as I grew up I came to call it “attuning to the voice in your soul.” In other words: intuition. His loving kindness got me through not only grade school and middle school, it also supported me when, in my junior year of high school, with parental permission I chose to broaden my horizons by enlisting as a yeoman in the United States Navy. It’s then that I discovered there are no geographical healings, that wherever you go, there you are. Even out at sea sailors older than myself would seek me out to confide their personal struggles and ask for advice, saying they trusted what they sensed to be something “different” about me. Although I didn’t share that my guidance to them was from the spirit world, the fact that they saw my being different as something that contributed to their lives deeply touched my heart. As for my Navy career, I told myself that I’d picked this profession by proxy, since I’d always wanted to be a fireman when I grew up. 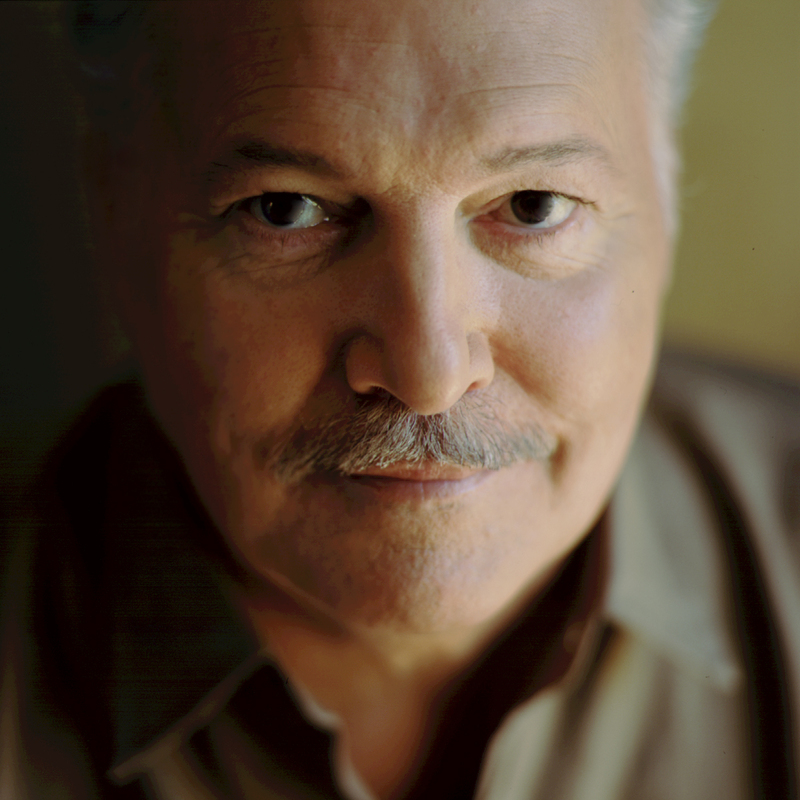 However, when I completed my tour of duty and was honorably discharged from the Navy at the age of nineteen, I realized I wasn’t too far off, the only difference being that rather than extinguishing outer fires, I was putting out the inner fires of self-doubt, fear, anger, and the anguish of loss in the hearts of those who sought me out. Upon leaving the Navy and following spiritual guidance that this was my true calling in life, I began formally seeing clients and creating a private practice. Thus began my formal entry into the profession of mediumship, and fifty-five years later, it is what I continue to do with passion. Sebastian, my treasured master guide, has faithfully been at my side from the age of three to this day, guiding me through my life journey and purpose. I pray that I have been as faithful a student to him as he has been a master guide, teacher, and friend to me. He has fanned the flames of my passionate commitment to my purpose as a direct-voice medium, to using heaven’s language to support all those who cross my path in connecting to their true Self, to realize they never have been nor ever shall be separate from spirit nor their loved ones. The dedication underlying my work is to establish this reconnection by providing substantive, factual evidence that it is possible to communicate with our loved ones on the other side and receive invaluable information from them that demystifies and clarifies aspects of one’s life. For most of us, the search for the truths of existence in general and ours in particular has been anything but clear and simple; rather, it is frequently blurred and confusing. And it’s no surprise, for when we come into this world society provides us with a map describing the acceptable borders of beliefs, concepts, morals, experiences, and religious dogmas in which we are expected to contain ourselves. All of this unavoidable societal conditioning causes us to live in such a way that takes us further away from rather than closer to our authentic self, to a conscious connection to the vastness of our true nature and our purpose for having taken a human incarnation. One of the main purposes of this book is to support its readers in breaking through the borders of the societal myths and conditioning and reclaim one of our most valuable innate gifts, intuition. I feel it is important to clarify that although women are stereotyped as being intuitive and men as being insensitive, this is a great inaccuracy. All beings are equipped with their birthright of intuition. To the gentlemen reading this book, this means you are now free to step out of your intuitive closet and fully claim this faculty that accompanied you in your birth suitcase. The determining factor for accepting and activating intuition, I believe, is to be found in the different social conditioning men and women receive during their upbringing, education, religion, and cultural mores. In case you are one of those fortunate men or women who, in spite of conditioning, bravely fired up your self-reliance, tossed society’s faulty map over a cliff, and embarked on your own unique journey, together we will create a new map that will lead you into even deeper recesses of consciousness. On the evening of April 14, 1865, while attending a performance of the comedy Our American Cousin, Lincoln was assassinated by the famous stage actor and Confederate sympathizer John Wilkes Booth. At 7:22 am the next day, Lincoln died. His body lay in state on April 18, just five months after his dream. The belief in clairsentience dates back thousands of years. The Greek historian Herodotus wrote that Croesus, who in the sixth century BC ruled what is now Turkey, consulted oracles. An oracle is someone who offers advice or a prophecy that is considered to be directly channeled from a Divine Source. Then in 399 BC, in his Apology, Plato claims that the oracle at Delphi played a vital role in the life of the philosopher Socrates. Clairsentience also functions in situations as simple as deciding, for no apparent reason, to take a different route to work and later hear on the news that traffic was blocked for over an hour in the direction you normally take. Or, perhaps when you had lunch with a dear friend you sensed something was off, even though he didn’t offer any information to confirm the accuracy of your intuitive hit. When he later confides to you that he feared his job was in jeopardy, your sense of “I knew something wasn’t right!” is validated. We are all made from the fabric of energy and therefore possess the ability to feel the energetic vibrations moving in and through ourselves, others, and environmental atmospheres. How many times have you said to yourself, “I’m not comfortable with that person’s energy,” or “Let’s get out of this place—I just don’t like the vibe in here.” Whether or not you were able to pinpoint the “why” of your feelings, “what” you picked up on your inner radar was worthy of your wise attention and action. That “what” emanated from your clairsentience speaking to you, a subject we will cover in depth in the next chapter. In Theaetetus, Plato’s dialogue concerning the nature of knowledge, he asks, “Why should we not calmly and patiently review our own thoughts and thoroughly examine and see what these appearances in us really are?” I appreciate his use of the words “really are,” which is about going deeper within to become better self-acquainted with what is actually transpiring beneath the appearances in our lives. His is a classic definition of the practice of introspection. In these postmodern times we might refer to introspection as a practice of self-reflection or self-contemplation, processes we consciously or unconsciously employ when we journal our inner thoughts, feelings, intentions, aspirations, and so on. It is the opposite of “extrospection,” which is the observation of what is outside oneself—like people watching, external entertainment, and so on. Introspection causes us to become more conscious and insightful in all aspects of our lives, offering us a deeper awareness as we develop this ability to observe ourselves in a more objective way. From the application of introspection in my own spiritual practice, I have seen how it surpasses learning from trial and error. Introspection supports us in objectively identifying the intentions and motivations that underlie our actions, allowing us to choose more enlightened interactions with ourselves, others, and our world. As well, we can begin to identify and appreciate more those areas in which we are living up to our self-expectations of honesty, loving kindness, patience, compassion, creativity, generosity of heart, discernment. I recommend introspecting in the evening after your tasks have been accomplished, because it is quiet and therefore conducive to turning within. Of course, if your daily routine supports introspecting at another time of day, then go with that. Select a quiet location where you won’t be disturbed for at least twenty or thirty minutes. Gather helpful materials such as your journal, a paper and pen, or a computer to capture what comes up for you. Sit comfortably, relaxed, yet remaining open and alert. You may want to meditate for five or so minutes to center yourself and establish a harmonic balance in body, mind, and spirit, feeling and thought. Begin to write. Do not let the ego judge, censor, or edit your content. Hold back nothing, being as raw and honest as your true feelings are. Simply allow a free flow, a stream of consciousness to express through you. Be sure to be balanced in the sense that in addition to those things that could be improved upon, you also include events wherein you lived your values, where you showed up at the right place at the right time and said the right things, where you were of service to others, where you changed a course of action by listening to guidance. After you feel complete, appreciate and give thanks for the insights that came through to you and set your aspirations for the new day ahead. Related to introspective journaling is the practice of automatic writing. While it takes more practice and is best learned through a qualified specialist in this field, I offer it here so that you may determine if you would like to learn more about it now or at a later time. Also referred to as “spirit writing,” automatic writing is the process of producing writing without conscious thought about what is being written. It is a channeling technique that invites your spirit guides and/or higher self to step in and write through you. Either written on a computer or in a journal, the words are transferred energetically from your sixth sensory consciousness using your hands to transmit the information. An art and science in itself, if automatic writing calls to you, I recommend studying it separately from this book as what is offered below is, so to speak, the tip of the iceberg. That being said, even if you have never tried it before, you may still benefit from the foregoing technique. Whether you are sitting at your computer or at a table with pen and paper, select a time when you will not be interrupted by people, your phone, or other means of intrusion. Turn off the radio, etc., and give your full attention to the process. Open your writing session with a prayerful evocation to your guides and higher self, inviting them to come forth and create an atmosphere of high vibrational energy. Affirm your openness, availability, and surrender to them and the process. With your eyes closed, present one question at a time and patiently await a response. Without editing, interpreting, judging, or censoring what begins to come through, record it on the computer or on paper. Note that even if nothing comes through in the moment, it may pop in when you least expect it, so you may want to carry a pen and paper in your briefcase, pocket, or purse, or have your laptop within close reach. When you feel complete, pause for another five to ten minutes to be sure no further guidance is coming through. In closing, express your gratitude for what has been transmitted to you by spirit, your guides, and higher self. Gently open your eyes and feel yourself reentering your body and the room. Don’t jump up to return to the tasks that await you or shock your senses by turning on the television or getting on the phone. Take a few deep breaths before you resume normal activity. When you review your automatic writing, don’t be concerned whether or not it makes immediate sense to you. Simply set it aside and read it again later. "This book will change your life, opening you up to be able to clearly listen and follow your guidance: loved ones that have passed, your guardian angels, and your own intuition." "A companion and a guide that answers many questions, shares step-by-step exercises and is delivered in Hans’s matter-of-fact style that leaves no room for wavering...Hans’s book is a blessing for those who read it." 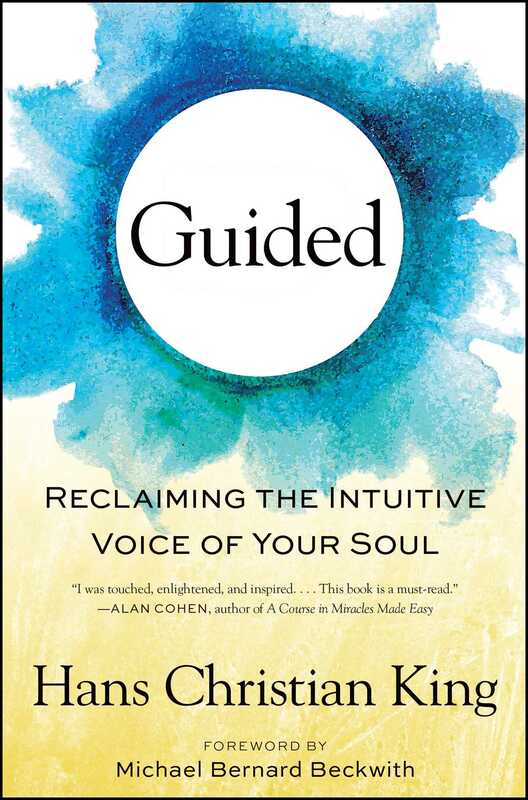 "Guided is a book whose time has finally come...a testament to Han's legacy as a trailblazer for humanity's awakening." – Gary Sherman, author of Perceptual Integration, The Mechanics of Awakening, and Silence of the Soul: Awakening Inner Wisdom.